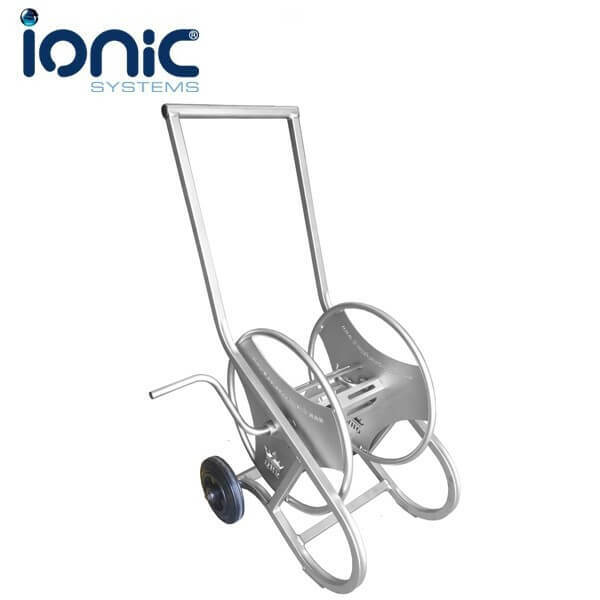 Superb quality non-rusting stainless steel hose reel with wheels for ease of transportation. 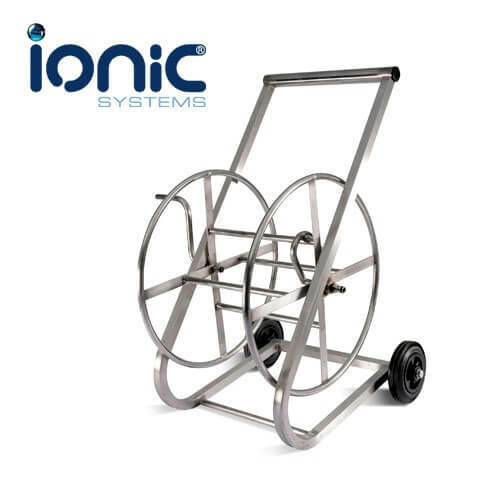 This hosereel is built to last and will stand up to even the most punishing of work schedules! 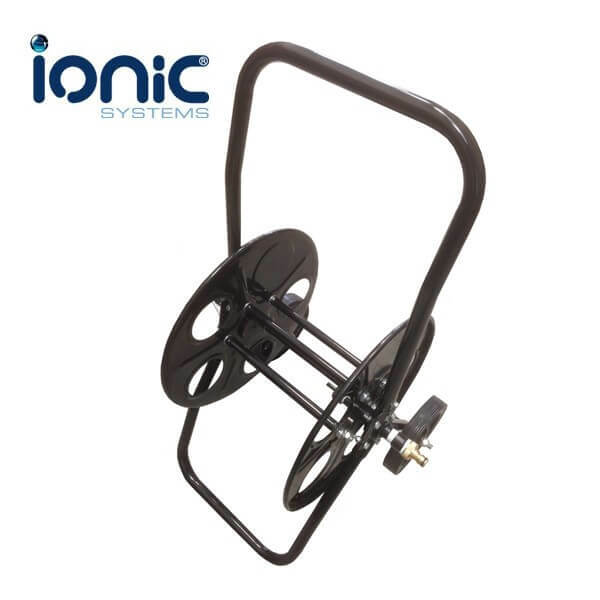 Black Powder-Coated Steel Hose Reel. Holds 50m of 1/2″ (13mm) Hose or 100m or 3/8″ (8mm) or other 'minibore' hose.